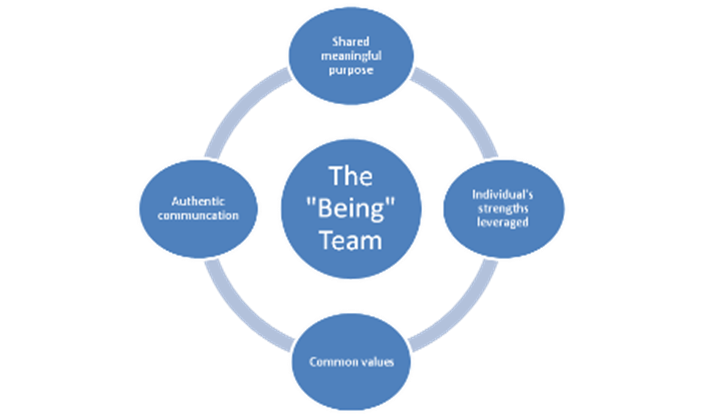 What is a Being Team? Being Teams are united behind a common vision, one that inspires and encourages each individual to contribute their unique gifts & talents. They set lofty goals and aspire to leave a legacy behind. The members of Being Teams reinforce each other to overcome their limiting beliefs and develop themselves alongside the team. They suspend judgment of each other, overcome adversities together, and celebrate success together.